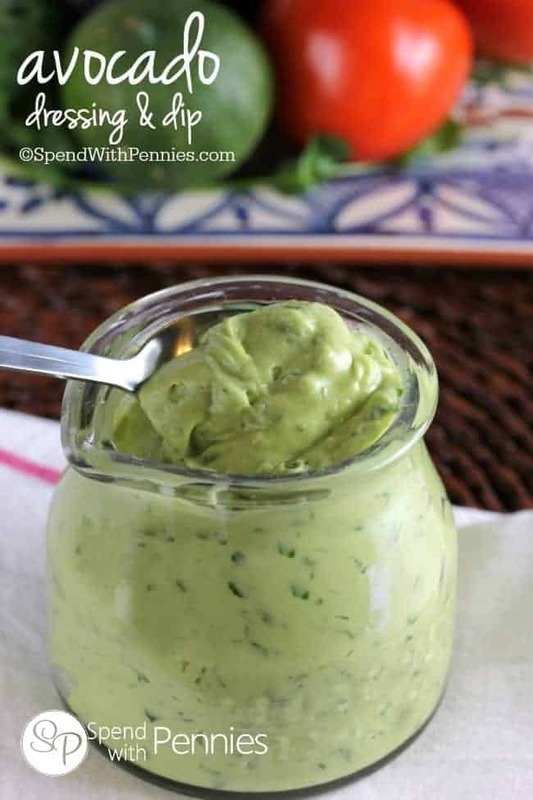 This Avocado Dressing recipe is not only delicious, it’s super easy to make! 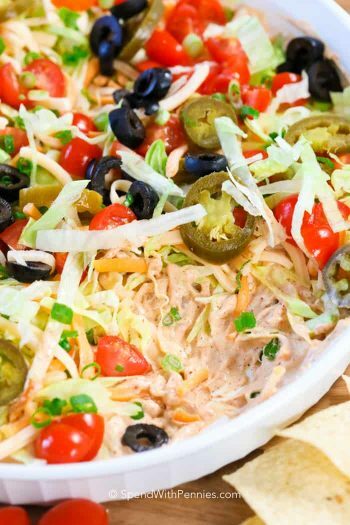 Adjust the liquid to adjust the consistency and make a perfect dip for chips! This is one of my favorite homemade dressings! 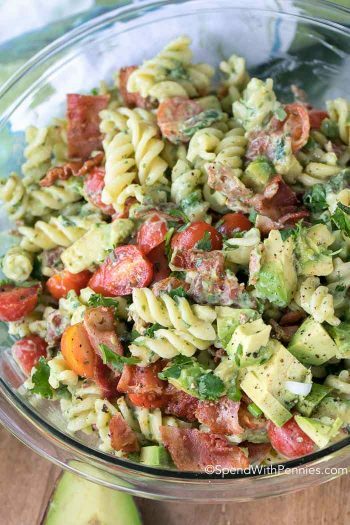 Not only is it healthy and full of flavor, it just takes a couple of minutes to prepare. 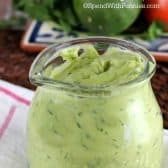 This is the perfect dressing for a taco salad or tossed with crispy romaine, cucumbers and croutons (it’s amazing on top of any sort of Mexican dish too)! 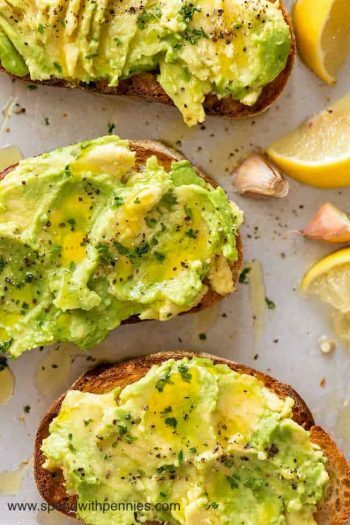 If you reduce the liquid, this makes an amazing Avocado Dip for chips or veggies and I even spread it on sandwiches in place of mayo for a healthy kick! 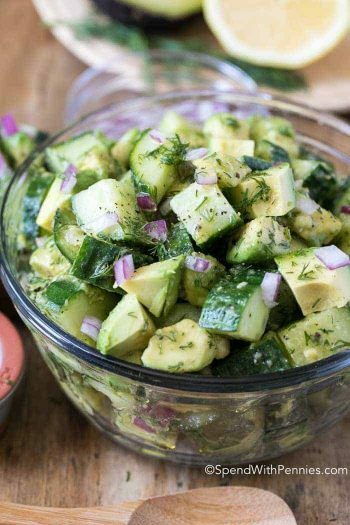 This is the perfect dressing for a taco salad or tossed with crispy romaine, cucumbers, and croutons (it’s amazing on top of any sort of Mexican dish too)! Adjust the amount of buttermilk to get desired consistency. *NOTE: If you do not have buttermilk you can easily substitute it with soured milk. Place 1/2 Tablespoon lemon juice or white vinegar into a 1/2 cup measuring cup. Top with milk and let sit 5 minutes. 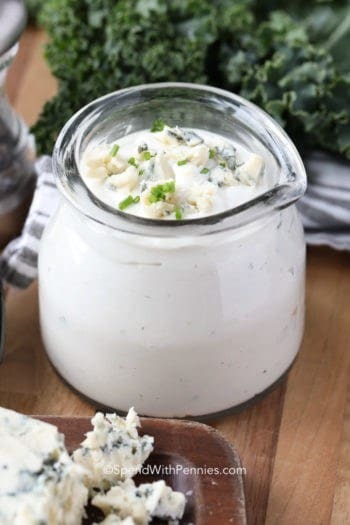 Use to replace buttermilk in any recipe!